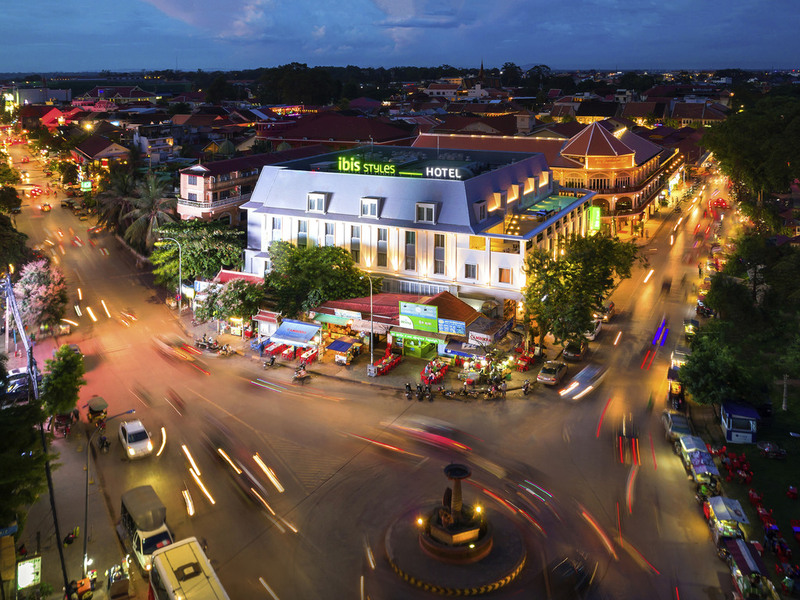 The new ibis Styles offers the best location in town, close to everything with fabulous views from every side, but particularly those of the Siem Reap River from the rooftop swimming pool with the city's chic restaurants, clubs, spas and shops below. STREATS CAFÉ is an All Day Dining restaurant featuring local and international cuisine. It serves a buffet breakfast and a la carte local cuisine for lunch and dinner. STREATS bar is a fun, idyllic place for tourists and locals to relax, while enjoying an original selection of drinks and great views of the river.